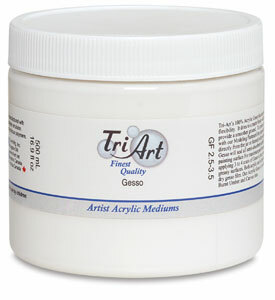 Tri-Art’s 100% Acrylic Gesso has superior covering power and flexibility. It dries to a matte white finish which can be easily sanded to provide a smoother ground. 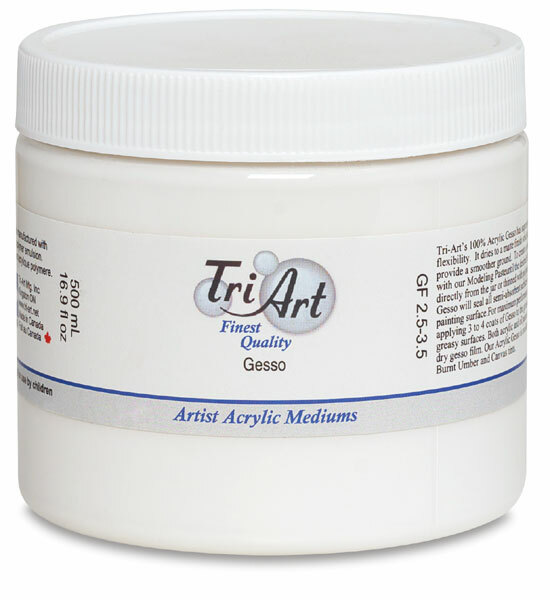 To create a more textured ground, combine it with Tri-Art Modeling Paste until the desired effect is achieved.